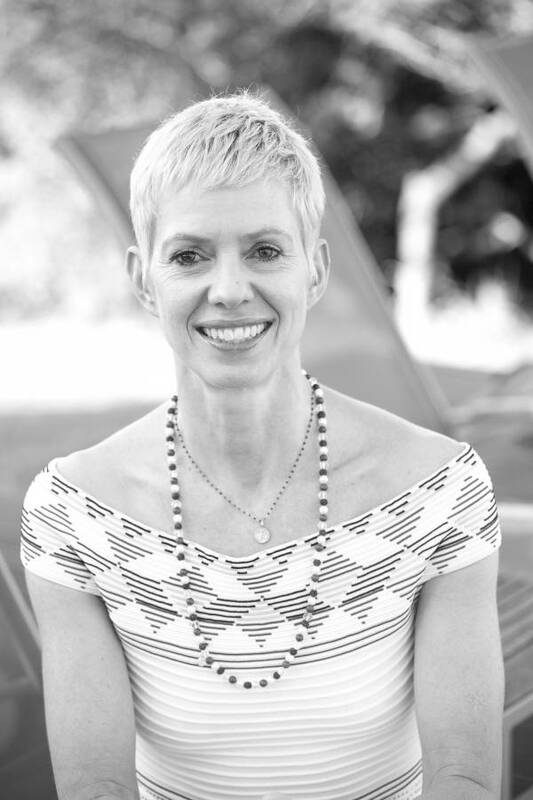 In our first spotlight, we have asked Yoga Wellness teacher and founder, Jennifer Ellis to answer a few questions and let us get to know her a little more. Jennifer began The Yoga Wellness Company after she experienced the benefits and positive effects of yoga on her physical health and contentment. Her passion for inspiring others to experience greater wellbeing, she set-up a platform that is accessible to people that does not require a subscription to a particular philosophical view. So, why do you feel that yoga is the way to pursue personal wellness? Yoga is a practice that focuses on self-study and works with the mind-body system. So, the practise of yoga, or the study of yoga, involves working with the body and the mind in terms of physical health, emotional stability, mental wellbeing. It is a very holistic and all-round practice with a scientific approach and is a perfect vehicle for anyone who wants to bring about some changes whether its physical, mental, emotional – and really the three together. What is a common misconception that people have about yoga? That you have to be flexible, and that you have to be mobile. Firstly, flexibility just happens to be a benefit that you gain through the practise of yoga. And secondly, you do not have to be a young or mobile. People in office chairs or hospital beds practise yoga! So yoga is for everyone, in any capacity! What persuaded you to first try out a yoga class? I first tried yoga when a friend invited me to a yoga workshop. The teacher was a visiting teacher in London, providing an Ashtanga intensive, the late Derek Ireland – a phenomenal teacher and practitioner. He was one of the first pioneers of yoga in the UK. Having come from a dance background I expected to be able to keep up with the intensive class easily. But soon after starting, I was put into my place and realised it was not going to be an easy ride. I was hooked. My growing interest in the true reach of yoga beyond just the physical practices to include breath work (such as pranayama), meditation and yoga philosophy has kept me drawn to yoga and interested the past 25 years. What inspired you to teach others? Although I was originally drawn to yoga for my own personal development, I found there was a gravitational pull to share what I had gained with others. This has become a self-fulfilling wish as you are carried by your students and their desire to develop and grow in their practice which is further motivation for me as a teacher. Describe your personal teaching style in three words. However, teaching styles and protocols are always secondary to the therapeutic needs of the student and I try to ensure my students feel that they are getting what they need. When and where do you prefer to practice? I like to do self practice. I obviously started by attending classes and still try to attend the odd class, workshop or retreat when I can. But self practice for me is the most meditative way of practising yoga and I generally do it at home in the mornings. I am London based, so although outside would be preferable, it is rarely realistic, so I generally practise indoors. My favourite place I have practised was on the beach on the wild coast of South Africa. What do you enjoy doing when you’re not practicing yoga? I love reading. I love the arts, particularly the performance arts. I enjoy seeing the integration of various art forms, where there is not a set of limitations about what art should be. I also love to travel. What advice would you give to someone who is feeling tentative about their first yoga class? That they don’t need to be. Just come with an open mind, with no expectation to be able to do anything in particular. Feel free to ask questions. And feel free to shop around for the teacher that suits you best. In my experience, not every teacher is going to resonate with you in the same way. Don’t be put off if your first class is not great, because you might go on to find a teacher that resonates with you in a different way. And DON’T expect to come and touch your toes – you don’t have to! And finally, what are your top three health tips? KEEP IT NATURAL – as close to nature as possible! LIFE IS ABOUT MOVEMENT – so move as much as you can. … And BRING ON THE SUN! Yoga is a vehicle for working with the mind and body. 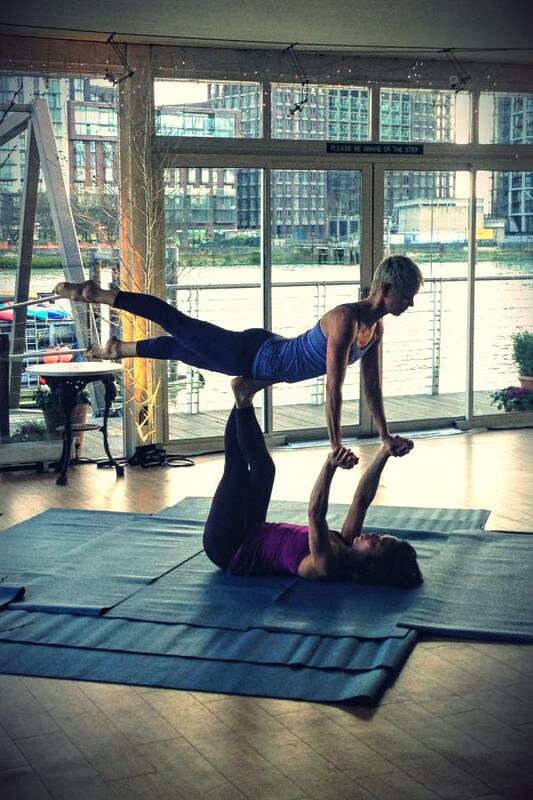 Jennifer flying in an acroyoga demonstration, London.